Today my activities were limited because of the weather but mainly because there was no tram service because of a strike. In order to save weight I used my old Sony NEX-7 but with a full frame 35mm lens [equivalent to about 50mm which I found to be far from ideal. 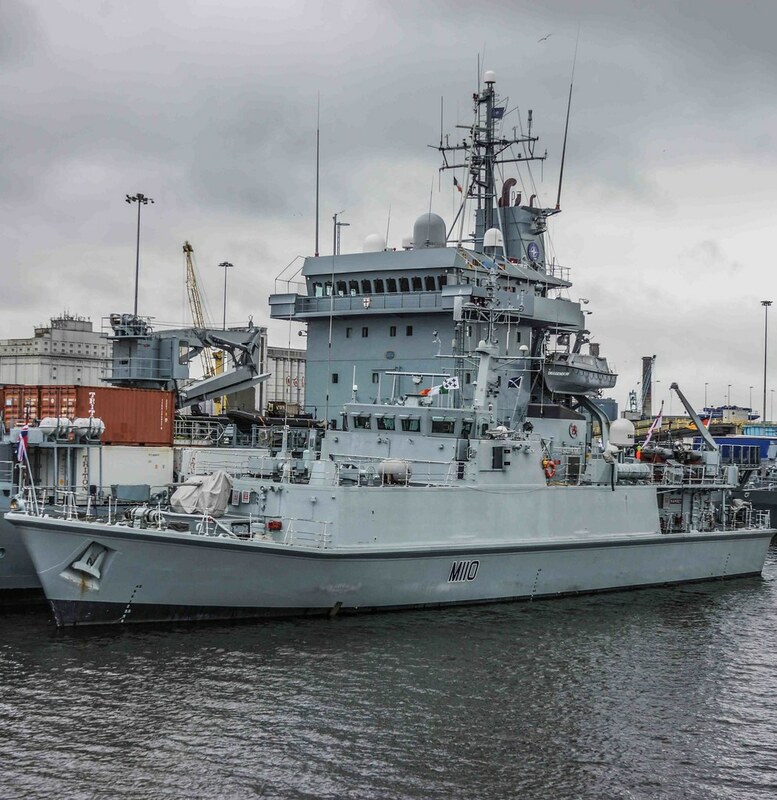 The ships, attached to Standing Nato Mine Counter Measures Group 1, will be berthed in Dublin until Monday at 10am. 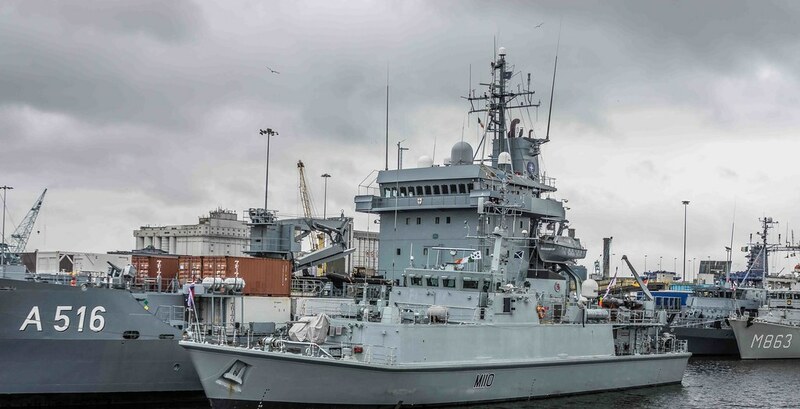 All ships will be open to visitors on Saturday and Sunday between 2pm and 4pm beside the East-link bridge. 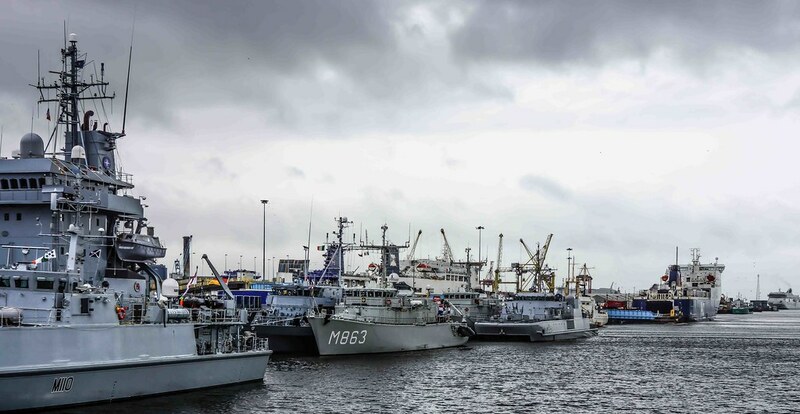 The fleet engages in mine-hunting exercises, which involves dealing with historic maritime weaponry such as unexploded bombs, torpedoes, shells and mines from the two World Wars. 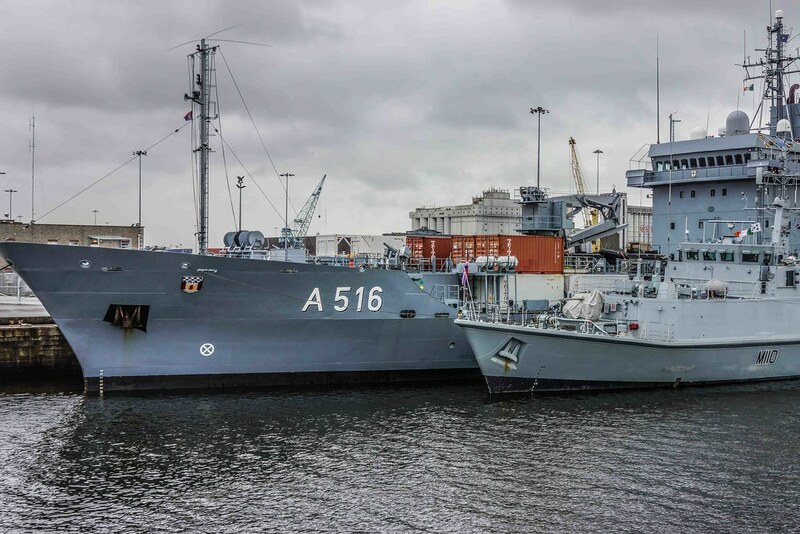 The German Navy’s supply tender Donau (A516) left her homeport in Warnemünde, Germany to join NATO’s Standing NATO Mine Counter Measures Group 1 on January 18. 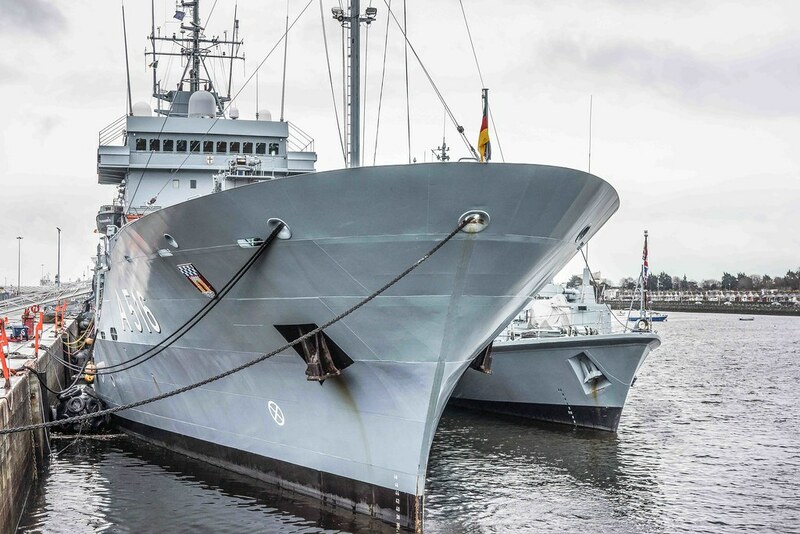 Germany took over the command of SNMCMG1 from the Netherlands during a ceremony on January 21 in Kiel, Germany. Commander Martin Schwarz thereby became the eighth German commander since the group has been established in 1973. Schwarz will be leading the group until Estonia takes over in June. 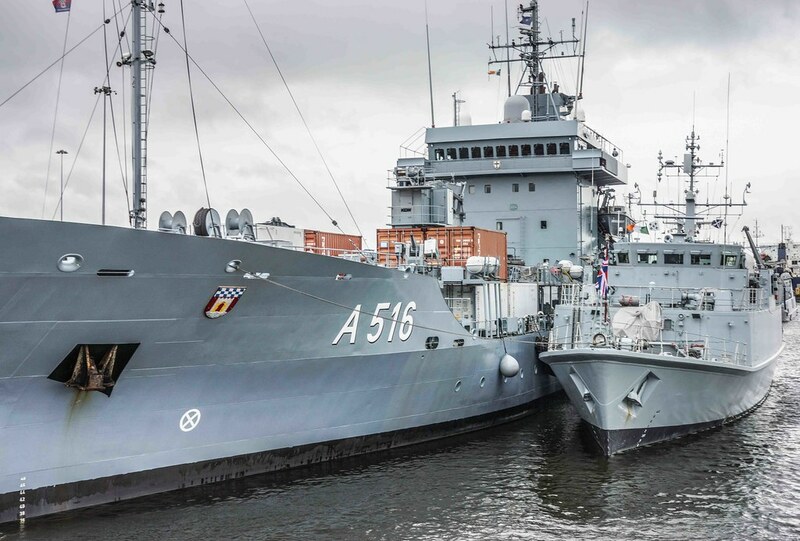 Apart from German ships the SNMCMG1 will be constituted by ships and personnel from UK, Belgium, the Netherlands, Norway and Denmark. 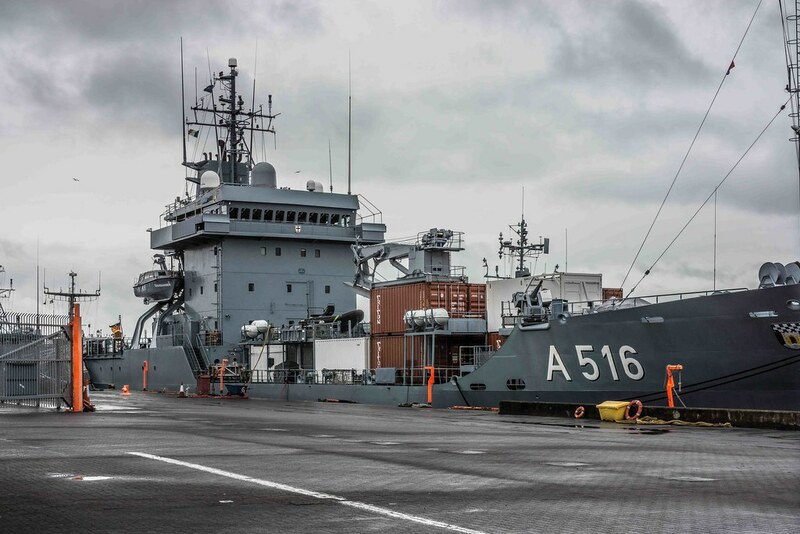 Due to a changed security situation in the Mediterranean in the recent period, the standard mine countermeasure duties of the group have been broadened to encompass search and rescue operations, as well as humanitarian and anti-terror operations.